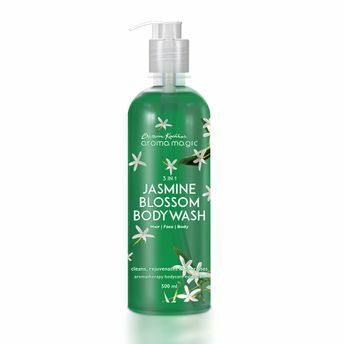 AromaMagic 3 in 1 Jasmine Blossom is a natural body cleanser that leaves your skin bright, alive and satiny smooth. It contains Jasmine extracts that combine together to give a fresh start to the day and keep your skin youthful and vibrant. The exotic blend of Geranium and Sandalwood essential oils transform your bathing experience into an ultimate hydrating indulgence.